The Neighbors Foundation of Grand Island is proud to have had your help in brightening somewhat the Holiday Season for 62 families on the Island. We must admit that we join thoughtful folks, sad there are those families (and unfortunately, probably a number more) in distress in our area - we so want to believe that a rising economy helps all. Be proud that your financial, food, and gift contributions helped the Foundation provide food baskets, turkeys and/or hams, gifts for children involved, and other help for those families. See donators list. The officers and members of Grand Island Post 1346, American Legion, wish the community of Grand Island, the Merriest Christmas and the Happiest New Year ever and a Big Thank You for your support in the past year. The purpose of this letter is to update all staff and the community on plans that the Board of Education has made in order to select a new superintendent. The Board has asked Dr. Lynn Marie Fusco, Erie 1 BOCES District Superintendent, to assist with the superintendent search process. Dr. Fusco will be the individual who is working directly with the Grand Island Board. The Board has already met with Dr. Fusco on November 30 and December 14 to begin our planning and looks forward to working with her to complete the search process. A vacancy brochure has been developed and mailed out. We will now begin the process of soliciting applications for the superintendent's position. The deadline for the receipt of applications is January 28, 2016. The brochure and application materials can be found at www.grandislandschools.org/superintendentsearch and www.E1B.org. While the applications are being received, the Board is interested in soliciting input from various individuals on a profile for the new superintendent. An on-line survey has been posted on the district's website. Staff, students, and the community are encouraged to complete the survey in order to provide your thoughts about the new superintendent. The survey will be available until January 25, 2016. After that time, the results will be compiled and a summary report provided to the Board. Once all applications have been received, the Board will identify candidates to be invited for first round interviews. First round interviews will be conducted by the Board of Education on March 12, 2016. When these first round interviews are completed, the Board plans to narrow the field to three candidates who will be identified as finalists and invited back to the district. Once the finalists have been selected, they will each be invited to Grand Island for a full day of interviews. The three finalists will be in Grand Island on April 11, 12 and 14, 2016. The Board will invite five different committees to interview the finalists and provide input to the board on these candidates. 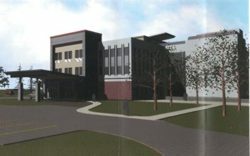 The five committees that will be formed will include faculty, administrators, support staff, students, and the community. Each of the full day finalist interviews will conclude with an interview with the Board of Education. The Board anticipates offering the position to the successful candidate by mid to late April 2016. Following the successful negotiation of a contract with the new superintendent, the Board anticipates making an appointment on or about May 9, 2016. We are expecting that the new superintendent will join us in Grand Island on or about July 1, 2016. On behalf of the Board of Education, I would like to thank the Grand Island staff and community for your assistance during this upcoming search process. If you are interested in serving on our community interview team, please contact me at lisapyc@grandislandschools.org. I would like to wish everyone a healthy, happy 2016. As my term comes to an end, I would like to take this opportunity to tell everyone how much I have enjoyed serving Grand Island as councilman for the past 12 years. It was truly a position that I enjoyed and felt extremely rewarding. It was a pleasure to meet so many interesting people and to work toward solving their many issues with town government. In most cases, it was enjoyable to work toward a better understanding - even if we were unable to come up with a solution. I will continue to assist and work "behind the scenes" with my constituents to ensure that our previous initiatives will not be forgotten. Thank you to all who voted for me, allowed me to put my election signs on their lawns, made phone calls on my behalf or helped in any way to get me elected to the past 3 terms. Special thanks to my election committee who worked so very hard each time another election year rolled around. I am truly grateful for all of your help. I wish you all a very Merry Christmas - and to all a goodnight! On behalf of the Family of Earl M. DeGlopper, we would like to express our gratitude to the Grand Island Rescue Squad, VFW Post 9249, Ross Kaiser, and the Grand Island Lions Club and especially to all of Dad's friends and acquaintances. Your caring and thoughtfulness during this time is very heartwarming and greatly appreciated. Freedom of speech is one of the "rights" given to us by the fore-fathers of this country. Untold thousands have died protecting that right and the other democratic principles, that when combined, make this the best nation in the world in which to live. Unfortunately, some people have chosen to abuse the right, using social media to attack local public officials for their actions, often citing incorrect or incomplete information about a particular situation that they do not agree with, in an effort to manipulate public opinion. These "rants" often include unfounded accusations, name calling and recently have implied threats of property damage and physical harm. While I certainly agree that the public has the right to question the actions of any public official, it needs to be done in a civil and responsible manner; through fact finding or checking information, as well as direct discussion and not by bullying or threatening Town officials in the hope of getting them to do something different. All civilized societies have found it necessary to adopt standards to live by in order to protect their quality of life. Zoning codes are part of this. They were adopted for a reason. Attacking public officials obligated to uphold the code is not a productive solution. Anyone not in agreement with a particular standard should first learn and understand why it was adopted and then lobby to change it if they still do not agree with it. The public, who originally had a part in adopting the code, could participate through the public hearing process. Working together is the way to keep our Town a grand place to live, work and play. Well, I didn't get voted in, but I came darn close - 50 votes! It was a close election all around. It isn't just a cliche that 'every vote counts'! Thanks to everyone who voted for me! I appreciate every single one of you who cheered me on, supported me in a multitude of ways and helped me get my name out there. I have to give special thanks to my team - Nathan McMurray, Bev Kinney and Sybil Kennedy. You are amazing people and Grand Island is lucky to have you. And Jim Sharpe - I would not have known where to start if it wasn't for you. Thank you. I also have to thank my husband, Pete and my kids, Kaylee and Jaxen for being patient with me being preoccupied, cheering me on and not being too disappointed that I was at meetings EVERY night! I love you. I will continue to be involved in any way I can to help make Grand Island better. I will still take on getting a youth center up and running and will continue to rally bipartisanship to get things done. Congratulations to Nathan McMurray, Beverly Kinney, Mike Madigan, Sybil Kennedy and Pattie Frentzel! Let's make Grand Island 'GRAND' again! In discussing the recent action of the GICSB, i.e. voting to not extend the contract of Superintendent Teresa Lawrence, thereby necessitating an expensive "search" for her replacement, many significant observations have been heard. For instance several people have mentioned how this Superintendent has made herself available to attend every student centered event from "Flag Day" to "Moving-Up Day" in each of our five schools. In fact, when she was just arriving in June 2013 she managed to give a short and enjoyable congratulatory speech at graduation. Since then Dr. Lawrence has been interviewed and chosen by the Buffalo "Business First" magazine as their "Woman of Influence" in the "Inspiration" category. (Issue dated September 11, 2015) How many residents of our Island have mentioned reading this and saying, "wow, that's OUR Superintendent"? The disparity of our School Board vote and what I have seen or read about Dr. Lawrnece was only strengthened last week when she was observed at a local funeral parlor waiting to offer condolence to one of our teacher aides on the death of her father. Dr. Lawrence is a documented influential, inspirational, empathetic woman who is seen by many residents of Grand Island as a "wow" Superintendent and we cannot help but question the wisdom or necessity of replacing her. Perhaps the majority of the GICSB should contemplate the opinion of Mr. Bobeck and rethink their vote. Please accept my thanks for all of your support in the recent election. For the past 16 years I have worked diligently as your Town Justice to make our Grand Island Town Court a model for town courts across the state. I am humbled and grateful to have the opportunity to continue that work. To all of the Grand Islanders who supported me, thank you not only for your votes, but also for all of the kindness and encouragement you provided me throughout the election. To my entire campaign committee, especially my Campaign Manager, Nancy Samrany, and my publicist, Karen Keefe, thank you for all of your hard work and your tremendous insight, advice and support. Together, all of you literally provided the legwork that my campaign needed and that my back prevented me from doing myself. To the Grand Island Democratic Committee, especially Chairman Jim Sharpe, and to the Grand Island Independence Party, the Green Party, and the Working Families Party, thank you for the confidence you showed in me and the loyalty you demonstrated by sticking with me. To Nate, Cyndy and Bev, thank you for partnership on this journey. You are a talented and committed group, and the best part of the campaign was getting to know and becoming friends with each of you. Grand Island is a better place because each of you are part of the fabric of our community. I think together we showed how older and younger residents of Grand Island can join forces to work cooperatively together for the betterment of the Island. To my opponent, Mark Nemeth, thank you for running a clean and honorable campaign. I look forward to continuing to work together with you in our Court as we each do our best to continue to serve the residents of the town that we both care so much about. Finally, a heart-felt thanks again to all of the residents and businesses of this community which I love so much. It truly is each of you who together make our Island grand! I'm writing for two reasons, the first, to thank you for sharing my Dad's death notice on IsledeGrande.com. You're speedy response to our delayed request spread throughout the Island and reached a lot of people who knew my folks, Rolly and Claire Card. My Mom and our family are very appreciative of the condolences and support. On a lighter note, I've been reading IsledeGrande since I was stationed on a ship in Japan (1999). Growing up on the Island, I enjoy staying connected by reading about all the positive happenings and events! 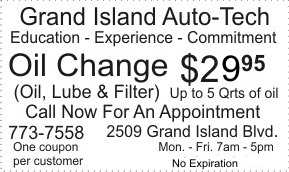 You are providing a wonderful service to the people of Grand Island, both near and far away. After retiring from the Navy, I was inspired by the efforts of Teddy Linenfelser and Team IsledeGrande, so I started a community website in Eastern North Carolina. I truly understand how difficult it is to update, maintain, and try to filter out any negative commentary. That's why NewBernNow's motto is "Promote, not demote". That way we keep it upbeat so people have a place to enjoy reading positive news and human interest stories. I hope your readers enjoy it as much as I do and consider supporting your efforts by making a donation. Thank you for all of your hard work! As some of you may know I have been a member of the Grand Island School Board for over 9 years and have attended many meetings and other events over the years! For the last 2 plus years Dr. Teresa Lawrence has served as our superintendent of schools. I have served with a few superintendents over the many years and I can say that the position is difficult and it is perhaps impossible to make all people happy at at times. Nonetheless I support our current superintendent! At the last board meeting a motion was made to start a search for a new superintendent and the other board members approved the motion 6-0. Thus the board as a whole has voted to replace the current superintendent. I was unable to attend the meeting due to other commitments. However, I do not support the board action. At the last meeting the following was read as my comments on the issue. "Unfortunately due to other commitments I am unable to attend tonight's meeting. As such I cannot formally vote on this matter. However, I do not support this proposition and I do not believe that a superintendent search ought be commenced at this time." Obviously I will continue to work on behalf of our students and community to make our schools the best that they can be! We want to thank the Grand Island Paramedics for their swift, efficient and caring attention they gave my husband Dr. Ted Rayhill when he suffered a heart attack in our home. They saved his life. Ted helped to start the paramedic program. He is so proud of these dedicated men and women who carry out their jobs with such professionalism. He is now living proof of their efficiency. We are most grateful to all of them. I saw the comments by Lee Cohen, on the three new School Board members, concerning the replacement of the superintendent. Lee implies these three new members are serving a special interest group, namely the union. I am confused for it was not just these three new members that do not want to extend the superintendent's contract, but rather all six board members that were present. Lee said these three have abrogated their responsibilities, what about the other three members who voted not to extend? Did they also abrogate their responsibilities? Something just does not make sense in Lee's comments. Thank you for the support, Grand Island! The FREE spaghetti dinner held at McMahon's on Monday was a huge success. We fed almost 200 people and they are still raving about Jeanie Clabeaux's homemade meatballs and Judy McMurray's homemade pies! A special thanks to both of them for their hard work. 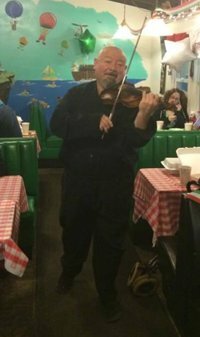 And we had a surprise guest from the Philharmonic Orchestra who serenaded guests with his violin! It was wonderful! How can we thank the McMahon family enough? They provided the location, the guidance, tons of help in the kitchen and endless support. Thank you, thank you, thank you. And finally thank you Grand Island for coming out to support us! The following was read at the Board of Education meeting on Monday, October 19th. Board voted 6-0 to search for new GICSD Superintendent. Trustee Glenn Bobeck was out of town and did not vote. I have served as a trustee for seven years and I have seen more than seven superintendents come and go. I have been involved as a volunteer, school employee and reporter for more than 30 years. I do not speak lightly now. I speak as a concerned Grand Island resident, because I fear an egregious injustice may be done tonight to a superintendent who has been doing her best and giving her all for this community, its students,and, yes, the staff. I see two trustees who have served less than four months. I see another trustee who has been in that position for only a year, and I ask, ""How can they possibly have learned all that is involved in being a trustee, and, what is involved in being a superintendent? What background do they bring to be able to judge a superintendent in such a short time frame? How can they possibly cast an informed vote?" These three people were elected with the support of a special interest group, which has happened before and will undoubtedly happen again: the governing board of the teachers union. Now, it's understandable that they would want to look out for what they feel are the best interests of their membership. Naturally, therefore, there can arise tension between the superintendent and that body. But, the superintendent also has to answer to the public. And so do you. Is your allegiance to the special interest group that helped elect you, or are you responsible to the students, the community, and yes, the staff? This superintendent is respected in our community, among parents, among students, and even among staff members. She is always available to parents and has worked well with them. She encourages public participation. She has met problems head on and handled them well. She has been recognized as an outstanding leader by an outside organization. And yet you are prepared to dismiss her. On what possible grounds? The expense of a superintendent search, the time it takes, the disruption of leadership, will affect this district adversely. It will diminish the authority of the superintendent, who needs to be the district leader. So I ask, are you honorable, unbiased trustees? To whom is your loyalty? Are you above politics? Do you represent the community or a special interest group? If you decide not to retain this superintendent, who has done no harm, then shame on you. You have abrogated your responsibilities, and you have lost my respect. A message from former Grand Island Supervisor Peter McMahon for Sybil Kennedy. On November 3, 2015, you will have the opportunity to re-elect Sybil Kennedy to serve as Grand Island Town Justice. I have known Sybil Kennedy all of my adult life. 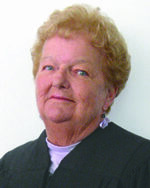 During my 4 terms as Town Supervisor, I saw her work on the Grand Island Town Court up close and personal. Sybil is professional, competent, completely non-political, honest and certainly one of the best judges we've ever had. Sybil started the Island's drug court. She also trained new judges from across New York State for every one of the 14 years I was in office. Sybil is well known and highly respected all over New York State. Judge Sybil Kennedy has earned our support. As citizens, our right to vote is precious. Please exercise that right on November 3, 2015, and re-elect Sybil Kennedy for Town Justice. In an effort to motivate younger voters, the mailing featured a few short sentences that were perceived as hurtful to or (worse yet) discriminatory against older generations. That was sincerely not my intention. I strongly believe that experience is essential in guiding our younger generations and to shaping our future. My intention was simply to rally the 25-40 year old females to get out and vote! I respect all people and would do nothing to intentionally offend or discriminate against someone because of their age; or any reason for that matter. Anyone who knows me knows I am one of the most open-minded and considerate people you will ever meet. Polite to a fault, most will tell you. This gaffe distresses me greatly because insulting and hurting anyone goes completely against who I am. Empathy is so lacking in our society--the ability to see things through the eyes of others. I recognize my mistake and am very remorseful that my message was perceived to be hurtful. As a candidate for Town Council my only promise to you is that I will be a vigilant student of this town, ALL of its people, its history and most important - its future. For a robust democracy, everyone should exercise their right to vote. It is a shame that so many younger people either neglect to educate themselves on the issues, fail to vote, and even fail to register to vote, for that matter. Voting is a privilege. I am imploring all generations to please vote on November 3rd! Much appreciation and thanks to all that came or reached out to help the amazing McMahon family. Although medical issues are still a priority, the diner is holding its own. The McMahon family would like all to know how truly thankful and blessed they feel to have so many caring friends and family. Planned and present view from the west. Completion of this project has been my personal goal since I first ran for the Town Council in 2004. There have been many individuals, companies and residents that have given their thoughts and ideas for what this facility could or should be. I have seen many concept plans & architectural drawings from potential developers. I have listened to ideas, promises and commitments that have had visions of some sort of a completed project. Most were looking for other investors, grants or outside assistance. I applied for and obtained from NYS Empire Development Corporation, a grant for one million dollars in 2009. 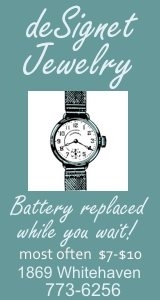 This was available through the Restore NY III program. That grant was to be used for the demolition or restoration of the building. I also made a commitment to potential owners that we would do everything possible to assist them with all permits and any other agencies that may assist with the project. Many meetings, emails, phone calls and letters were sent. I met Jayesh Patel, CEO of Rudra Management and Rosewood Hotels in early 2014. His company, Grand Island Hotels, LLC purchased the building in early 2015. Presently they have remediated 75% of the interior. Next on the list is to make the building secure from the outside elements. Once that is complete, work can commence on the utilities and interior amenities. Completion date is projected for spring of 2016. There are still some hurdles to overcome but progress is being made day by day. Many people assisted in this project. The GI Town Board, GI Engineering, Assessor and Building Departments, as well as our Planning and Architectural Review Boards. 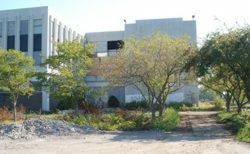 Most importantly if it was not for New York State, Erie County Industrial Development Corp. and the Erie County Health Department, we would be looking at this eyesore for many years to come. Finally we can be proud of the building at the entrance to the North end of our wonderful Island. The Grand Island Post 1346 American Legion wishes to thank all supporters of our recent Patriot Day/911 Poppy Drive on September 11th and 12th, 2015. We strive to keep the memory of September 11th, 2001 in our minds and hearts. Your generous donations will help needy veterans and your community. We are looking to signing up members to join the American Legion Grand Island Post 1346 and help us continue our work serving our veterans and the community. The Post meets at the Loyal Order of the Moose, the last Wednesday of each month at 7:00 PM. Young blood must be infused into the Post to continue our work. Eligible veterans please consider joining us to help our Veterans and local activities. 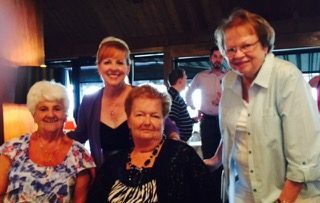 From left: Nancy Samrany, past Town Clerk; Bev Kinney, Town Council candidate; Judge Sybil Kennedy, Town Justice candidate; Sharon Osgood, Democrat Committee member. I would like to take this opportunity to extend a THANK YOU to all my supporters for coming out to Ellden's restaurant on Wednesday, July 29th for my fundraiser. It was a full house and I want to thank my Campaign Committee for all their hard work...awesome job! Thank you to Jim Sharpe, Democrat Chairman and his committee for their support. It is a privilege to run with such a great and accomplished group of candidates for this year's election, Judge Sybil Kennedy, Town Justice; Todd Potter, Legislature; Nathan McMurray, Town Supervisor & Cyndy Montana, Town Council. Although Nathan could not make it, he sent Spiderman and his Mom, to represent him. It added an element of fun. Thanks, Nathan. It looks like it is going to be a very fast paced campaign this year for the Town Council race. What a great feeling it is knowing I have so many good people pulling and working for me. Thank you! Thank you! Thank you! The Niagara Frontier is an area rich in natural beauty, history, architecture and so much more that visitors flock here from all over the world. Grand Island, situated as it is between Buffalo and Niagara Falls, is also a destination for visitors. The Island is endowed with many great structures from farm houses, two wonderful wooden churches, a Queen Ann shingle style cottage, a smokehouse that dates to c. 1835 and so much more that need recognition and a means to save them. An article in the Tuesday, July 28th edition of the Buffalo News by Christopher G. Kennedy talks about the importance of Historic Preservation and I would like to quote from that article, "Great buildings do not occur in isolation; they grow out of flourishing architectural cultures where habits of good construction and imaginative planning have solidity and momentum, these buildings need to be protected and protection can be achieved through an ordinance designed to do just that." The ordinance proposed for Grand Island is designed to protect our heritage, to give us a connection to our past. Properties recommended for designation are done so with the owner's approval, no one is forced to accept designation. This is also true of historic districts. The owner of a designated property does not lose control of that property. Kennedy went on to say, "Our country faces increasing homogeneity in terms of cultural experience that visitors to our cities are subjected to. Preserving unique historic facilities provides visitors and residents alike with a unique defining experience that ultimately translates into a competitive advantage to attracting tourists and retaining residents." Has anyone ever met Negative Nancy? Well if you haven't, come to Grand Island and you're sure to find her and a handful of her relatives. Just mention Corey McGowan's name and they will come running. And in my opinion their negativity comes from two things: envy and jealousy. For years I have been watching this kid and if I had a Hollywood Rolodex or a time machine I'd call Harvey Weinstein and PT Barnum to let them know that Corey McGowan is coming for their throne. What can't this kid do? The Taste of Grand Island for the past 3 years and now the Gus Macker? Not to mention his weekly music and movie series that he puts on for FREE at the Town Commons. All the while people can still find something to complain about. Yes, a garden tour was cancelled last week. It sounds like ticket sales were the problem. Sign me up for next years tour, just please give me their gardeners phone number first. And to the after thought of rallying 50 of your friends to attend your showing, where were they when tickets were on sale? I have never met Corey McGowan but from afar he appears to be nothing but genuine and passionate about his community. Have you been to his website? Other communities seem to be welcoming and appreciative of his progress. It appears that he is doing everything that should have been done a long time ago. It's time for the people of Grand Island to start embracing what this young man is accomplishing and work towards helping, not hurting. There is no basis to fight anything that Corey McGowan is doing, has done or is trying to do. Step up Grand Island and welcome 2015 with open arms and if you can't, I'm sure Mr. McGowan has every intention of carrying you on his shoulders. And to Corey McGowan, I say this to you: keep going. Don't let negativity get in your way. People are watching and your hard work and dedication is not going unnoticed. These items can be brought in or sent to the Golden Age Center, labeled for "Holiday Happenings". Thanking you in advance for any support you can give to help make this event a HUGE success! I'm requesting clarification of the towns rules on displaying political signs. Political sign: a nonpermanent sign that supports or opposes any political candidate, political issue, political referendum or political party. (1) Political signs shall be placed only on private property. (2) Such signs shall not block any intersection clear sight triangle. (3) Such signs, if they apply to an election, shall only be permitted for 45 days before the election to which they apply and shall be removed seven days after the election to which they apply, except that signs for primaries may be retained through the general election. For the past five days, there had been a large political sign with members of the town board running for office, parked on East River. This is not a small lawn sign, it's a billboard. Is this a courtesy to be extended to all political parties? If so, please notify the public and the political parties that the Town Code has been suspended or changed to allow signs. Does the Town Code rules apply to all candidates running for public office? Does the Town Code rules apply to the incumbents too? I'm asking because it appears the rules for those in office are different than those candidates running against them. The Republican Chair has no right to break the Town Code, if he doesn't like them, he should work to change them. If the Town Code the Town Board has established hasn't changed, what is the penalty for breaking the law and will they apply here? If the Town Board finds no fault with the Republican Chairman's action, I'm asking that my candidates be allowed the same courtesy to display their signs. Waiting your response, so that I may guide my candidates. Bill Gworek Jr. and Casey Dahlstrom. Bill Gworek Sr., Luke Gworek and sister Faith. 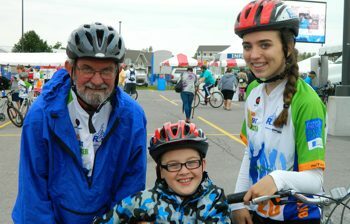 Team Luke would like to take this opportunity to thank the Grand Island community for its continued support with helping them to raise $22,504 for the 2015 Ride for Roswell. Team members rode various routes from 3 miles to 45 miles since the 62 and 100 mile events were cancelled due to the rain storm. Overall, the 2015 Ride for Roswell raised $4.5 million dollars for research and patient care and in just 2 short years Team Luke has raised $35,000 for the RFR. Team Luke won’t stop there. We will continue our fundraising efforts through a ongoing can and bottle drive at Bottle Junction and other fundraisers in the fall and winter. Members of the 2015 RFR Team Luke include: Luke Gworek, Bill Gworek Jr, Faith Gworek, Bill Gworek Sr, Allison McDonald, Emily Kurtzhalts, Casey Dahlstrom, Mary Dunbar-Daluisio, Tony Peters, Jean Peters, Maria Defeo, Sue Spiez, Kim Kalman, Dale Jaenecke, Alyssa Jaenecke, Nicole Novack, Charles Dias, Ryan Dias, Pam Overhoff, Alissa Venturini, Ruth Ives, Amie Pistrin-Faust, Laurie Benoit, Joseph Hill, Charity Mucha, Leiann Murphy, Nicole Acquisto, Ken Robinson, Sara Nabozny, Craig Bieniek and Dawn Bieniek. Once again, our Island was a grand place to be as we gathered along the mighty Niagara River for the annual Father's Day Lawn Mower Race, Classic Car Show and Kevin Doring 5K Walk/10K Run. The rain held off long enough to get a lot of the festivities completed. This was the sixth year that the proceeds have gone to the American Cancer Society Grand Island Relay For Life. With much gratitude, we would like to thank all the sponsors who give so much, year after year: Boy Scout Troop 630 from St. Stephen R.C. Church, team Stomp It Out from Step in Time Dance for the food enjoyed by all; the Town of Grand Island and Parks Department; our wonderful volunteer fire company; the police presence, making it a safe environment for all; Say Cheese Pizza; and, of course, the rave reviews for the totally enjoyable music from the Ricky Hoover Band. And, most of all, you the people who came to the event in support, which made the event successful. We hope you were entertained. We feel the addition of the Lions Club garage sale, Crush Cancer sweatshirts and items, along with children activities from American Bounce Rentals LLC provided something for everyone of all ages. Our committee plans for months prior to the event and certainly hope we are providing the wonderful people of Grand Island and Western New York, an enjoyable day of fun for the family. Despite reports to the contrary, I am running for re-election for Grand Island Town Justice, a position I have held for the past 16 years. I have served the citizens of Grand Island for over forty years, first as Chief Clerk of the Court and later as your elected Town Justice. I have long served as a teacher for other Town Justices in New York State. My experience, combined with both my knowledge and understanding of the law as well as my insight into the problems on the Island, make me the most qualified person for the position. I will, without apologies, run on my record as the longest tenured town justice in our great town. GO WITH EXPERIENCE. On Primary Day in September, please pull my lever. I would also appreciate it if you would sign my petition when a volunteer comes to your door collecting signatures to put my name on the other party lines. As the saying goes, "if it isn't broke, don't fix it." During the 16 years that I have served as your Town Justice, our court has grown into a model for other courts. There is no need to fix something that has improved with age. Stick with experience. Thank you for taking time to read this letter and should you have any questions or wish to help me with my campaign, please feel free to call me at 773-5061. Thanks also for your continued support. The Veterans of Grand Island wish to thank all who voted in favor of the School Tax Exemption. The show of overwhelming support of the Veterans is greatly appreciated. The Veteran is also a tax payer and supports the great community of Grand Island. Veterans are your neighbors, fellow workers and friends who contribute much to their fellow Veterans and the many local school and community charities and events. We do this to make our town a better place in which to live. We urge all Veterans to join the American Legion, The Veterans of Foreign Wars or any Veterans Organization to show pride in your service to your Country. You served once, you can serve again. We invite all Veterans and citizens to attend the Memorial Day Services at DeGlopper Park at 10:00 AM Monday, May 25th, 2015. We urge you to bring the children and explain to them why Memorial Day is so important. Our Service Men and Women of all branches of Service who have made the supreme sacrifice are honored on this day with this solemn service. We hope to see you there. With less than 1% of Americans entering Military service today, I want to THANK the voters of Grand Island. Tuesday's election for the budget, board members and the proposal for Veterans exemption showed the voters of Grand Island do care by their over whelming vote for the proposal. When you come to our open house at 2121 Grand Island Blvd. on July 4th look for me, as I want to thank you for your vote. Yes, the Charles N. DeGlopper Memorial VFW Post 9249 will host our annual open house on July 4th at the Post home. From left: Hank Kammerer and Dave Johnson. An earthquake in a very foreign, far-off land, thousands die, photos show scenery and buildings so different from here - how can we relate to the disaster in Nepal? Grand Island Rotarians have an 'advantage' - personal contact with those who have been there. 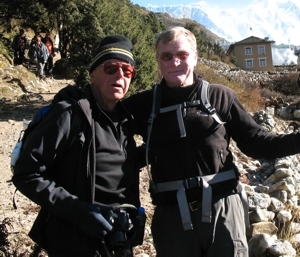 Dr. Dave Johnson, a long-time Member, originally living on West River, now in Buffalo, leaves in a few days to join a medical team he has traveled with before, to Nepal. Himalayan Heath Care, which Dave used to head, operates the hospital that G I Rotary helped finance in Ilam, Nepal, and several other medical centers there. Direct contact, that's the only way to cut thru the chaos of Nepal and give help where it is needed. They will helicopter to Dhading, less than 100 miles from Kathmandu (here it's a quick hour+ to Rochester) because of impassible roads. From there into the hills toward Tipling where Himalayan Health Care has a clinic, the team brings both medical care and food supplies. An organization that already has staff and facilities in Nepal, Himalayan Health Care, with direct contact there, provides a way to donate to help the Nepalese and be sure the funds really help! The author of this note, Henry Kammerer, trekked to Mt Everest Base Camp in 2008 with Dave, and knows first-hand the location where 18 climbers died in the avalanche there. I remain an active supporter of www.HimalayanHealthCare.org, and encourage all to help by contributing thru that web site. As a member of the Kenmore - Town of Tonawanda Board of Education, I represent a district that is a large feeder of students to Erie Community College. Ken-Ton also has many collaborations with ECC through which high school students can earn college credit, a relationship I benefited from when in high school. ECC is the only gateway to higher education for many county residents. Without ECC, the opportunity for many county residents to obtain any education past high school is foreclosed. Next year, the tuition will increase $300 for every full-time student, or 7%. I understand this burden as I complete graduate school this year and face tremendous loan debt and financial belt-tightening from it. As an active community member, I regularly see the poverty that exists in our city and our suburbs, including the Tonawandas. This tuition increase will place a higher burden on financially struggling students and their families, or could deter them from attending college all together. Any county resident being shut out of the opportunity to earn a college degree will hurt us all as one Erie County. It is at this time that I call on Erie County to increase its contribution to the college, currently $17.5 million, to help keep tuition low and prevent enrollment drops. This is not politics, this is common sense. As a candidate for County Legislature this year, I pledge to work with ECC to ensure it is being fully and adequately funded by the county, and also New York State. I have advocated and lobbied in Albany for the restoration of funds to public schools and I will continue those efforts for ECC. In fact, I will work to make ECC not only more affordable, but also more accessible by advocating for a satellite campus in the Tonawandas or Grand Island, where many students see Niagara's community college as a closer alternative. This would result in new jobs, more local investment, more state aid to ECC and could make smart fiscal sense for the future. Many thanks to the Chamber of Commerce and all who made last Thursday's award banquet and ceremony so special for me and the other awardees. I'm always happy to have a chance to get the word of CROP Walks for Hunger out to a wider audience. Fortunately my CROP Walk planning team reminded me that the date for this year's CROP Walk that I announced was incorrect! I'm glad I was not being honored for perfection! In fact, the 2015 CROP Walk for Hunger will be on the first Sunday in October, the 4th, at 1 pm in the Beaver Island State Park. I hope to see many of you there! The Grand Island Central School District governance team, comprised of the Board of Education, the superintendent and administration, have been working hard these last several months to build a fair and sensible budget for the 2015-2016 school year. Together, we recognize the responsibility to provide the highest quality educational program at a cost both the school district and community can shoulder, while weaning our District off the use of reserve funding. On Tuesday, May 19, Grand Island residents will be asked to cast their ballot on the proposed 2015-2016 school district budget. In addition, voters will determine whether to adopt a resolution to acquire school buses and vehicles, to enact an alternative tax exemption for Veterans, and to elect three candidates to our Board of Education. On April 21, 2015 the Grand Island Board of Education members adopted the 2015-2016 budget of $58,114,136. This budget represents an increase in spending of 4.12%. The tax cap level for Grand Island is 2.26 percent, however, mindful of the burden on residents, the Grand Island Board adopted a tax levy increase of only 1.75%.This proposed budget makes an investment in the instructional K-12 program, operations and athletics. As part of the District's commitment to a long range bus replacement plan, the purchase of four full size buses, two wheelchair accessible buses and two vehicles for use in buildings and grounds are being proposed. The District held public information sessions regarding a proposed alternative tax exemption for Veterans and the possible financial impact it would have on the Grand Island taxpayer, as well as the school district. On March 23 the Board of Education unanimously approved to present tax exemption Level A to the voters. At the public vote on Tuesday, May 19, Grand Island residents will have the opportunity to determine whether the exemption will be enacted. If approved, the alternative tax exemption for Veterans will take effect in the 2016-2017 school year. Also on May 19, seven candidates are vying for three seats on the Grand Island Board of Education including the one incumbent and six newcomers. They are, in ballot order: Joy Lamarca, Jeffrey Hassler, Glenn Bobeck (incumbent), Takayuki Nobumoto, Ashli Skura Dreher, Eric Soehnlein, and Richard D'Agostino. The three top vote-getters will be elected to a three-year term on the school board, beginning July 1, 2015. To learn more about the candidates, the Parent Teacher Association (PTA) will be hosting Meet the Candidates Night on Tuesday, May 12 from 7 - 9 p.m. in the Grand Island High School Professional Development Room. Information about the candidates can also be found on the District website at www.grandislandschools.org/budget. Please remember to vote on Tuesday, May 19, 2015. The polls are open from 8 a.m. to 9 p.m. at the Grand Island High School Gym located at 1100 Ransom Road, Grand Island. More information can be found on the District website at www.grandislandschools.org/budget. We are grateful for the ongoing community support that has built our great schools. Through your continued involvement and support, we can unite for the benefit of our students and for the future of this great District. Thank you for your continued support of Grand Island Schools. I am participating in the 20th anniversary Ride For Roswell on Saturday, June 27, 2015. It is an annual celebration of community support for Roswell Park Cancer Institute and its core mission to understand, prevent and cure cancer. 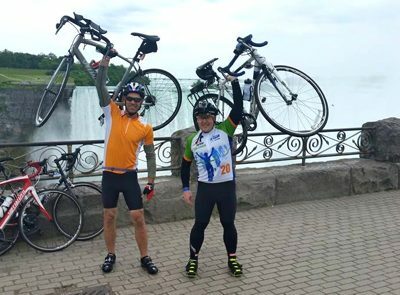 Funds raised through The Ride For Roswell support the cutting-edge research and patient care programs that benefit the 31,000 patients who turn to Roswell Park for hope. Donations are further used to improve the patient and family experience, support new clinical treatments and procedures, provide proper clinical space to meet the increasing demand for cancer services, and educate the next generation of cancer scientists and clinicians. For each dollar donated, Roswell Park Cancer Institute is able to leverage an additional thirteen dollars in new research grant funding! I need your help to reach my fundraising goal, and greatly appreciate any donation you can make. Your financial support will greatly impact Roswell Park's mission to understand, prevent and cure cancer. Click here to learn more about some of the specific research studies that your funds are helping to support. It's easy to make a donation to my fundraising efforts - just click the link below to safely and easily donate online. There is also an opportunity to double your donation by applying for matching funds from your employer. Call your human resources office to find out more. This is a great fundraising event for a great cause. Please help me reach my goal by donating to our team, The Rose Pedals, by making a donation online. Seated: Corban Burke, Nancy Anderson, Diana Simpson, Ralph Hoover and Kathi Applegate. This past Friday I had the pleasure of enjoying a birthday lunch for my Dad at McMahons Family Restaurant with several family members. My Dad and two brothers have been having lunch at McMahons every Friday for four years since my mother passed away. The restaurant has great breakfast and lunch selections and the soups are delicious. If you have not had the pleasure of dining at McMahons -- now is the time!! McMahons is a family run business and the Matriarch and Patriarch of the family, Fran and Joe McMahon, have been faced with some health issues the past several months and cannot do their catering business which is a source of income for the family. I would like to get the word out that this God following family needs the help of the community and all I am asking is that each of you reading this article enjoy a meal, at McMahons Restaurant each week. They also have take out so get your workplace to get an order in to go...it is easy as that! 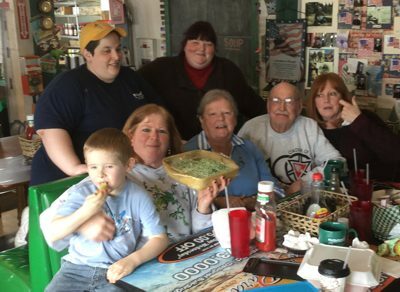 Because one plate at a time can assist this great family. Fran has always given back to the community in her endeavors. Anyone wanting to make a cash donation can do so by sending their donation directly to Fran McMahon at 80 Redway, Grand Island, New York 14072. No one asked me to do this article, I heard of the McMahon plight and I personally would like the Grand Island community to step up to the plate and enjoy a meal or two at McMahons and/or make a cash donation payable to Fran McMahon and mail it to their home. I thank each of you who will take the challenge of helping out this Grand Island family! I believe that we should pass a law to preserve our history. As a Nation, our societal structure, our sense of independence, our freedoms have all been impacted by the automobile. We have designed our infrastructure and superhighways around cars. Our economic livelihood depends upon the transportation that we utilize across this Great Nation. I don't know a single True American who does not enjoy seeing an old and classic car driving down the highway. The pride and expression of freedom that these old cars provide, is priceless. For this reason I propose we make a law on Grand Island that serves to protect and preserve these old cars. This would be for the benefit of all the people. I propose we find eight like minded people who have an interest and expertise in old cars, who we will install as the Historical Committee for Old Cars Board. These people would serve on this committee and would search for and propose to the Grand Island Town Board, any vehicles which they found that they deem have a historical interest or plain old "just look cool". If the Grand Island Town Board agree that they like these vehicles too, than a distinction would be placed on each vehicle that "it's a great old car". Of course while waiting for the decision for the designation of "it's a great old car" is being made, the owner would not be allowed to change the tires or do any repairs in less it was an emergency. While this distinction is being discussed, the owner of the car would be required to put a plaque on the front windshield describing its proposed "it's a great old car" status. Once this distinction is made the vehicle would be required to be kept in pristine condition and would not be allowed to fall into disrepair or burn any oil. The owner of the vehicle would have to apply for a permit from the Historical Committee for Old Cars Board before performing any work on the vehicle. Any work performed on the vehicle would have to be all ok'ed by the Historical Committee for Old Cars Board and would be inspected by the town's employee who is the code enforcement officer and the town's building inspector. 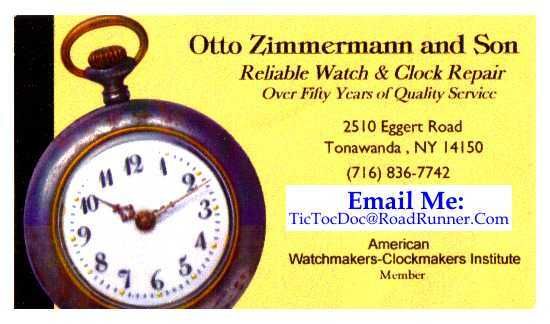 The Historical Committee for Old Cars Board would have the power and authority to designate tracts and parcels of land which they feel would contribute to the preservation of automobiles given "it's a great old car" status. Some garages and the land they are on might also fall under the jurisdiction of the Historical Committee for Old Cars Board. The Historical Committee for Old Cars Board would search high and low for possible "it's a great old car" and if they found one of rusting away in someone's backyard they could give it "it's a great old car" status and the owner of the property would be required to restore it "like in kind" as it would be a vanishing (structure), car. We the public could never allow that to happen. Of course it would cost us, the public, nothing, so why not? It's so nice to see these vehicles in great condition. You can clearly see that this will be a boon for the economic revival of Grand Island. All the Auto Repair Shops and Auto Supply Stores on the island would have lots more business. People would flock to Grand Island to see all the beautiful restored cars, and maybe drive thru Tim Hortons. All the New Car Dealerships on the island would also find a booming business, particularly for those people who might own a car designated "it's a great old car" or anyone who owns an older car at risk for this status. And I will bet that new businesses will spring up all over Grand Island including recovery services for old cars accidentally driven into the river. If you think this is funny, substitute the Committee for Historic Preservation for The Historical Committee for Old Cars Board and substitute "Historic Building" for "It's a great old car". I think you might lose your sense of humor as this is TRULY the proposed historical preservation law. As has been done for years and years, the Grand Island Central School District and the trustees of the Board of Education have begun to develop a school budget that continues our legacy of delivering top quality education while meeting the fiscal expectations of our town's tax payers. Early Board input into this year's budget has already generated hints of cuts to our music program. Our music program on Grand Island is a top-tier academic program in Western New York as well as state-wide, as evidenced by our children's success over the years. More important is the lasting impact to every one of our students that pass through the music program at the elementary, middle and high schools. In this budget cycle, it is critical that the Grand Island community express the desire to continue the rich heritage of our music to the Board of Education and district administration. The current program is the result of years of hard work. In order to ensure that future generations also have the opportunity to pursue their musical endeavors, it is critical to continue funding of the program. In the same way as the new Assistant Superintendent for Finance will be planning the district's finances for 3 to 5 years, the music program funding should also be considered an investment for the future of our children. Please share your thoughts and support of the music program with the Board of Education and administration through written or spoken communication and by adding your name to the letter of support here. When you come into a local Auto Bureau to do a transaction, Erie County retains only 12.7% of any fee you pay, while the State of New York keeps 87.3% of that fee. Our Auto Bureau staff paid by county taxpayers do the majority of the work - and drivers in our county pay the fees - yet New York State gets the majority of the revenue. Moving from percentages to actual dollars, in 2013 the Erie County Auto Bureau produced $36,568,495 in fee-generated revenue. Of that $36 million, less than $4 million stayed here in Erie County. Incredibly, over $32 million of Erie County fee revenue went down the I-90 into Albany's coffers. In this era of property tax caps and growing unfunded mandates from Albany, counties throughout the State deserve to retain more of the fees generated by their residents. Our Governor and legislative leaders need to rework this formula to be equitable and reflective of the work performed by county versus State employees, as well as recognize the precarious fiscal condition county governments are experiencing with growing costs and limited revenue sources. Some of you know me but for those that do not, my name is Becky Sommer-Stufkosky and I am one of the tri-chairs for the 2015 Relay For Life event of Grand Island supporting The American Cancer Society. Lynn Dingey and Candy Mye complete the trio as the chairs for this event and along with our committee, we are sure to reach success once again. Kickoff for this years event will take place soon so take a minute to mark your new 2015 Calendar.... Kickoff is January 14th at 7PM at the Veronica Conner Middle School Cafeteria in Grand Island. Everyone is invited and encouraged to attend. Grand Island is known for its Relay event. This being our 13th edition, reinventing the wheel always proves to be a challenge but with our amazing volunteers, survivors, caregivers and our supporters, we are sure to get the job done and done for all the WORLD to hear. We would be very honored if you could help us to spread the word. See story written by Casey Dahlstrom, our Publicity Chairperson. Anything you could do to help get the word out would truly mean the world to us. Casey's story was published in The Grand Island Dispatch as well as Isledegrande, a web based paper here on Grand Island. Our Honorary Survivor this year is Luke Gworek along with his family as our Honorary Caregivers. They have been featured on Channel 2 for their work with Roswell Park. This family is number one in our book and we stand proud to honor them. To all of you, I thank you for your time and your support and truly look forward to hearing from you soon.